It is important to make sure medical billing companies under consideration have intimate knowledge about your specific practice. Billing codes and support documentation requirements are different for specialty services as compared to general services provided by family practitioners and PAs. 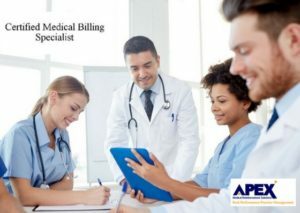 It is always more desirable to partner with a medical billing company that specializes in your type of practice, because these agencies provide staff with ongoing training to ensure they are aware of new mandates and regulations. Specialty providers also tend to have personal relationships with insurance companies and compliance monitors, so they know how to avoid costly mistakes that could limit your reimbursement or result in an outright denial. Some industry experts suggest aiming for 3 percent to 5 percent failure rate on first-attempts through the clearinghouse is the best you can hope for. However, APEX practice management solutions boasts a truly stunning first-attempt pass rate of 99 percent. Solutions like this are proven to improve turnaround time and first pass approval rates for specialty practices. We understand that everyone has to start some place, but putting your revenue in the hands of a brand-new agency is not recommended. Especially in this day and time when the healthcare industry is constantly changing. So, along with 24/7 support and service, look for medical billing companies with a solid track record, verifiable references, and evidence they have experience working within your medical specialty. Ask how the firm proactively manages risk prevention and online security. The medical billing company you choose should demonstrate forward thinking vision with strategies and solutions for today and tomorrow, along with a scalable technology network, which leads us to number 3 on the list of must-haves. As mentioned above, negative sanctions for failing to implement an approved electronic health record (EHR) system increased in 2017. When you put your billable charges in the hands of an outside medical billing company, you must make sure the equipment they use integrates with Practice Management and EHR software you are already using, or plan to deploy. Streamlining operations is vital when you want to shave off minutes that will equate to hours, thereby reducing payroll dollars and cost per visit numbers. The potential to reduce operating costs is huge when fully integrated EHR and PM systems are used in conjunction with medical billing companies. Creating a seamless data sharing path between your PM, EHR, and patient billing systems also reduces human error and speeds up the visit-to-billing cycle. Technology that enables interoperability helps medical practices identify and correct potential billing errors faster and easier, saving the practice time, money, and stress on the staff. Look for modern technology with state-of-the-art security systems and protocol. Finding time to train your staff may be a problem, especially if your practice is growing. That’s why contracting with a medical billing company committed to help your team transition smoothly is vital for success. The self-education and training tools provided by your billing partner can mean the difference between relieving burdens on staff and adding another point of contention. That is why transparency and communication are also key qualities to look for when comparing medical billing companies. Does the company guarantee rapid response, even after hours? How often are software updates issued, and what type of reports can your practice expect each month? You also want to make sure there is a policy in place that allows key personnel to contact authorized workers at the billing agency if an emergency comes up or you need an immediate answer. Experience, especially with your practice specialty. Forward thinking, company-wide culture that looks for ways to address issues today and prepare for issues of the future. Transparent and communicative. Willing to provide reports and supporting documents on your terms so you can monitor progress. Provides access to trainers and solution finders 24/7. Offers a full range of training resources and self-help education tools. State-of- the-art technology and security network. Have you been thinking about outsourcing your medical billing?